Almost 60,000 birds have been struck by commercial and private aircraft in North America a new FAA report revealed this week. The most common strike involved Mourning Doves: Pilots reported hitting 2,291 of the dove species between 2000 and 2008. In eight years the other avian strikes included gulls (2,186), European starlings (1,427) and American kestrels (1,422). The Federal Aviation Administration (FAA) report also noted that New York’s Kennedy (JFK) airport and Sacramento International (SAC) reported the most incidents with serious damage. JFK reported 1,804 incidents with 84 that involved substantial damage or destroyed components; SAC had 1,438 and 56 major damage. San Francisco (SF0) airport: 1,014 and 45; Los Angeles (LAX): 940 bird strikes, 36. Since 1990, there was a total of 112,387 reports of aircraft striking wildlife, including reptiles and mammals, at 2,008 airports in the United States and Canada. Pilots and airlines volunteerily report bird strikes to the FAA. Bird strikes happen most often during take-off or landing, or during a low altitude flights. A serious danger to both birds and jet engines is when a flock of birds ingested into the engine. 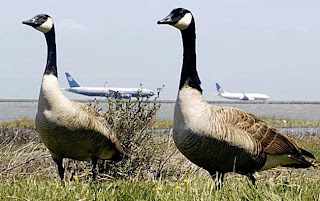 The most recent famous bird flock vs. jet occurred in January 2009 when an Airbus A320 struck a flock of Canada Geese while climbing out from New York’s LaGuardia Airport. The strike caused a nearly complete loss of power in both engines. Because of quick action from the US Airways flight 1549 flight crew, the plane made a successful emergency landing in the Hudson River. The 155 passengers and crew were mostly unhurt. The birds weren’t so lucky. Many wildlife experts say the population of some birds, particularly large ones like Canada geese (photo above), have been growing as more and more birds find food to live near cities and airports year round rather than migrating. Airports also provide a wide variety of natural and human-made habitats that offer abundant food, water and cover. Many airports are located along migratory routes used by birds. 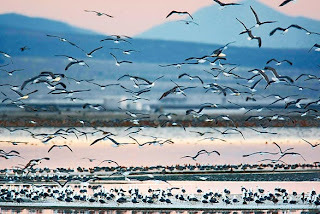 A bit of good news in the bird world is always welcome and this month the spotlight is on Owens Lake on the eastern side of the Sierras. The Los Angeles Times has a very upbeat piece documenting the increased counts of migrating birds at the Central California lake. For many years the lake was a dusty mess as water was diverted to thirsty Southern California. At one time the lake was 30 feet deep. In 2001 the LA Water agency finally acted to control a huge dust problem. They now flood the 100 square mile lake bed with ankle deep water and thus encourage birds and their insect prey to proliferate. At this year’s bird count, organized by Audubon volunteers, the numbers of all species were up from last. It’s Earth Day today and we don’t need a reminder how things could be better for Mother Earth. She’s like the mom who drank too much in her youth, smoked three packs of cigarettes a day and then up and decided to run a full marathon in 105 degree heat. So take it easy on Mother Earth for more than one day and she’ll go easy on us. Find a way to recycle, buy less plastic and find creative ways to get through this life on earth. Have some hope. 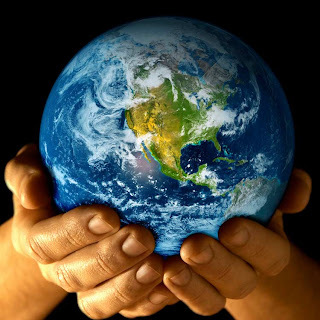 By the way, Earth Day began in 1970 and it has its roots in the 1960s environmental movement. A Senator Gaylord Nelson from Wisconsin is credited with floating the idea to honor the earth as early as 1962. It came to head after the 1969 Santa Barbara Oil Spill killed thousands of seabirds. The following spring, Earth Day was born. The second break-in in two weeks at IBRRC’s Fairfield bird center is rattling staff’s nerves. On Sunday, clinic staff arrived to care for the hospital’s avian patients and were greeted with the sight of sprayed broken glass, an office in complete disarray and missing items, including all the money in the in-house donation box. This is the second break-in in the Fairfield center in two weeks. The first incident was on April 8th, when items from the administration building were stolen. Stolen property from both incidents is valued at approximately $5,000.00. No birds currently under care were harmed. The International Bird Rescue Research Center (IBRRC) is cooperating with the Fairfield Police Department in their investigation. 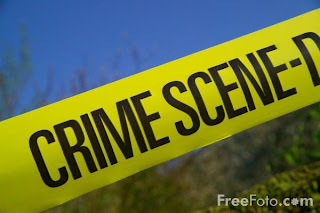 Any information or suspicious activity should be reported to the Fairfield Police Department at 707-428-7300. IBRRC has recently been in the news with the current influx of Brandt’s cormorants, mostly from the South Bay area that are showing up thin and disoriented. The break-ins have come at a time when the center is very busy and working to raise funds to feed and care for the sick cormorants and other patients they are receiving daily. The stolen items included important computers for data collection that help us process the thousands of birds treated each year. All of the computers were backed up to a secure location and there wasn’t any membership data on these units. From what we know, some other businesses in the area also were hit by thieves. IBRRC would like to remind other organizations to be extra vigilant with security. For the sake of your nerves, backup computer files often and add extra features at your offices to help deter these costly crimes. High winds causing Cormorant strandings? A notable spike in patients has local marine bird rescuers puzzled. 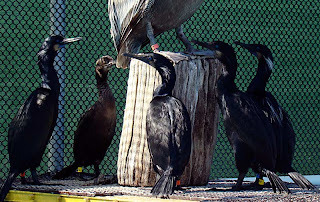 In the last two days, International Bird Rescue Research Center in Northern California has received 13 stranded marine birds, mosty Brandt’s cormorants. Eleven more of the snake-necked birds are expected to arrive from San Jose, CA this afternoon. Another oddity is that many were found in Bay Area parking lots and on roads when they should be found on beaches or jetties. 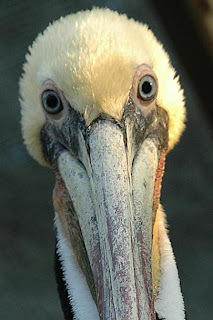 For these specialists in aquatic bird rehabilitation, a higher than normal number of patients always signifies a greater problem, as was the case this winter with the scores of ailing pelicans. While it is premature to say exactly why so many of these birds are falling ill, Jay Holcomb, director of the aquatic bird facility believes the recent high winds may have contributed to the strandings. 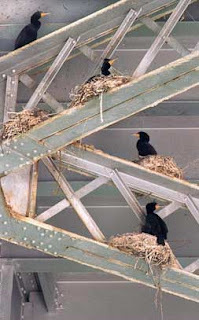 This speculation that unusual weather or climate change may be impacting sea birds is supported by recent word from Farallon Islands researchers that the Brandt’s cormorants have not started nesting, as they should. The atypical winds, choppy seas, and sparse zooplankton may be the reason. Last year researchers reported the smallest breeding population of Brandt’s with the lowest reproductive success in twenty years. Researchers hope this is not the sign of another colony failure. The birds in convalescence are being treated for superficial wounds and are doing well. The rescue organization is asking for help from the public in reporting birds that appear injured or stranded and donations to help cover the cost of their care. For rescues people are urged to call the California wildlife hotline at 866-WILD-911 for the nearest rescuer. The Los Angeles River carries enough trash each year to fill the Rose Bowl two stories high, and despite efforts to corral some of it near the river mouth, most slips through to the ocean. Moore adjusted a trawlnet to collect trash flowing downriver. At Moore’s signal, a crane operator lifted the net out of the water. Volunteers swarmed around the trawlnet, extracted the contents and loaded them into more than a dozen jars. The jars were filled with plastic pellets the size and shape of pills. They come in all colors and are the raw material for a vast array of plastic products, from trash bags to medical devices. About 100 billion pounds of pellets are produced every year and shipped to Los Angeles and other manufacturing centers. Huge numbers are spilled on the ground and swept by rainfall into gutters; down storm drains, creeks and rivers; and into the ocean. From his river sampling, Moore estimated that 236 million pellets washed down the Los Angeles and San Gabriel rivers in three days’ time. Also known as “nurdles” or mermaid tears, they are the most widely seen plastic debris around the world. They have washed ashore as far away as Antarctica. The pellets, like most types of plastic, are sponges for oily toxic chemicals that don’t readily dissolve in water, such as the pesticide DDT and polychlorinated biphenyls, or PCBs. Some pellets have been found to contain concentrations of these pollutants 1 million times greater than the levels found in surrounding water. Jay Holcomb of IBRRC will share his stories and experiences in a lecture this month that spotlights how humans are affecting two beloved species of birds: Pelicans and Penguins. The talk will be held on Thursday, April 16 at 7:30 PM in Sonoma and is called “Penguins, Pelicans, and People.” The suggested donation for the event is $5. Looking for Earth Day place to tap into your volunteer spirit? Check out the Green Apple Festival. 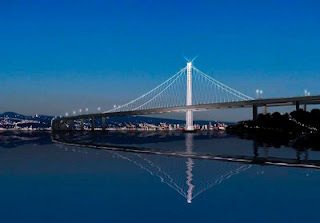 They have events all over the United States including San Francisco and Los Angeles. The events are from April 17-19, 2009. Nice piece in the New York Times Science Section this week with Dr. Dee Boersma, who has been studying Magellanic Penguins in Argentina since 1982. 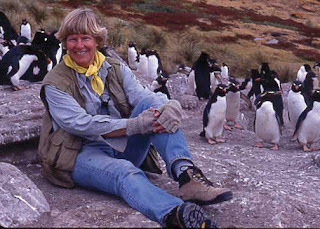 Boersma, a University of Washington conservation biologist, has been called the “Jane Goodall of penguins.” Dr. Boersma, 62, has spent 25 years studying penguins on one stretch of beach at Punto Tumbo, in southern Argentina. If you shop at Ralphs Supermarkets you can help us by simply signing up your Ralphs Rewards card with our organization. Every time a you shop and swipe your card, IBRRC automatically earns a rebate. This is small hassle, but well worth the effort. The birds and folks at IBRRC appreciate your efforts! A Canadian company is under fire this week for under-reporting duck deaths at an oil sands plant in northern Alberta. A Syncrude executive admitted 1,606 duck carcasses were collected from the toxic oily waters – three times more than was reported following the incident last year. The ponds contain waste from the process of separating oil from sand. The birds died in April 2008 after becoming coated with the residual oil floating on the pond’s surface. The company was accused of failing to prevent the birds from landing near the oily waters. The mining giant is scheduled to appear next next month in a Fort McMurray court on charges that carry up to $800,000 in combined fines. The charges also could include jail time for individuals deemed directly responsible.